You don’t have to stray far from the headlines to know data destruction is a hot topic. Every day, we’re asked a wide range of questions about the disposal of electronic media and hard drives. In this blog, we answer several of the most frequently-asked data destruction questions. Q: Should I sell my old hard drives or destroy them? A: You should destroy them. A recent study by the National Association of Information Destruction (NAID) found that 40 percent of used electronic devices sold on the secondhand market contained personally identifiable information (PII). The risk of identity theft isn’t worth the money you might make from selling your drives. Q: Can’t I just erase the data from my hard drives and then sell them? A: Even if you delete files from your drives, there’s no guarantee you’ve removed all traces of sensitive data from them. With the right tools, whoever buys your deleted hard drives can still access sensitive data left behind. The only way to be absolutely sure your data isn’t compromised is by using a hard drive and digital media destruction service. Q: Am I required by law to destroy my expired digital media? A: Many state and federal laws require expired digital media to be disposed of in a secure and environmentally-friendly manner. Several well-known federal privacy regulations, including HIPAA, FACTA, and GLBA, address data disposal practices. Failure to comply with these laws can result in monetary penalties and/or legal action. Q: How does a hard drive destruction service work? A: A specialized mobile shredding vehicle arrives at your facility. Your hard drives or any other electronic media is collected by a screened and bonded professional for immediate, on-site destruction. During shredding, all hard drives and electronic media are rendered indecipherable, so confidential data cannot be accessed again. The whole process takes place in a matter of minutes while you watch. Afterwards, you are given a Certificate of Destruction. 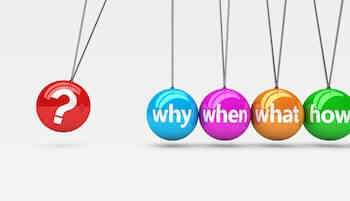 Q: Why should I work with a NAID AAA Certified provider? A: Working with a NAID AAA Certified provider means you receive the highest level of privacy protection. The NAID AAA Certification Program establishes standards for a secure destruction process in the areas of operational security, employee hiring and background screening, responsible information disposal, and insurance. When a NAID member has completed a successful audit, they are issued a certificate showing their company name, type of operation, and the specific materials they are certified to destroy. 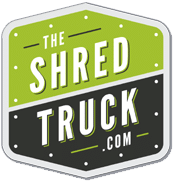 The Shred Truck provides mobile, on-site paper shredding and hard drive destruction services in and around St. Louis, Missouri. If you have a data destruction question we haven’t answered here, please call us at 314-729-9200 or complete the form on this page.